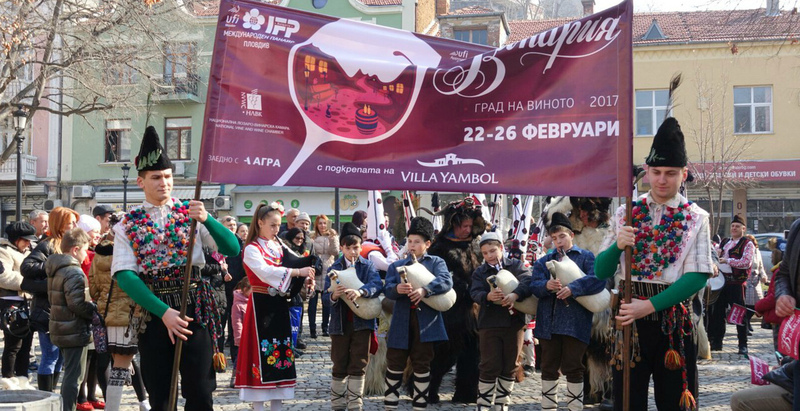 Vinaria 2017 - the 25th International Exhibition of Vine-Growing and Wine Producing Wine Festival took place at the International Fair Plovdiv this February (22-26th). Due to the great success of the previous editions, the event sparked the interest of the 45 000 visitors and as well as exhibitors from Italy, France, Russia, Portugal, and others. Vinaria 2017 became bigger in number, more diverse in taste and didn't leave the glasses of the wine lovers empty! The pre-opening started with the celebration in honour of the spirit of wine and the god of wine Dionysus: impressive costumes, hilarious dances and music, smiley faces and positive vibes. All the city came to support the celebration. 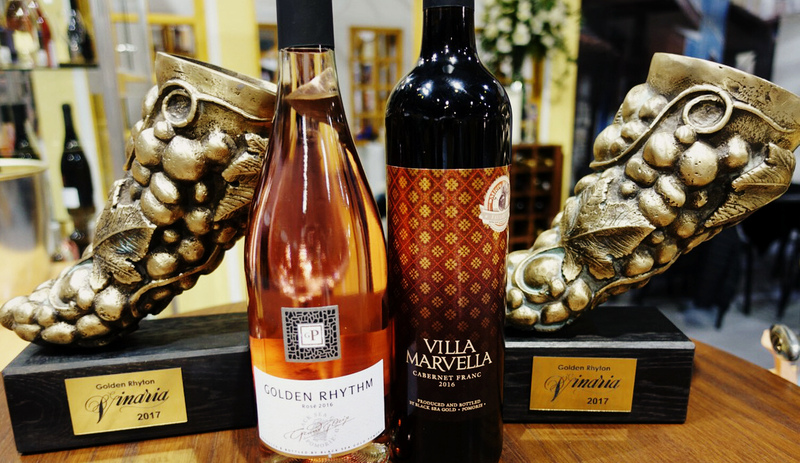 Bulgarian Wines won 6 Golden Rhytons (Златни Ритони). 83 wines were awarded golden and silver medals by the International Commission of Vinaria 2017. 50 of them grabbed the gold ones. The biggest amount of awards received Villa Yambol: 9 gold and four silver medals. The winery also won the prize of "Barrel of the Year." This year the massive attention was paid to the local Bulgarian grape varieties. For the first time, there was the prize"Recommended local variety". The winner of the prize become the indigenous Bulgarian grape variety - Red Misket (Cherven Misket) from Karabunar Winery. 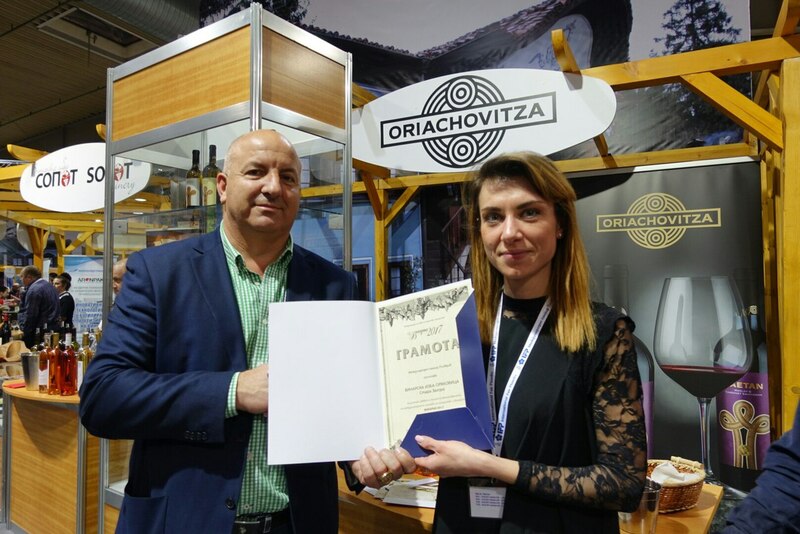 Thousands of visitors occupied the stands of Vinaria 2017 at the 11th Chamber of the International Fair Plovdiv. They tasted quality wines offered by 60 wine producers from 18 countries. The awarded wines have attracted the attention of internationally recognised and well-known experts: Caroline Gilby MW (Master of Wine), who has been tracing the development of Bulgarian wine for 20 years, and Marcus Berlinghof from Germany (Sommelier №1 in 2013). 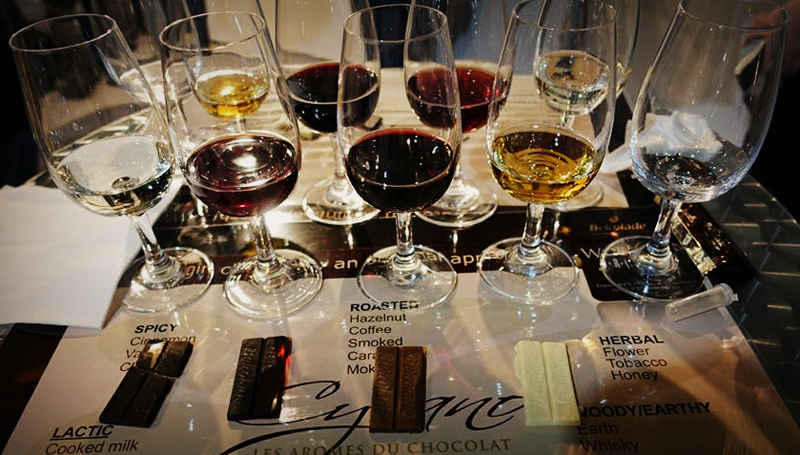 Exclusive high-quality Belgian chocolate together with peculiar varieties of Bulgarian wines was tasted at the international exhibition Vinaria 2017 for the first time. The experts have advised experimenting with different kinds of chocolate: starting from the lighter and gradually moving towards darker. The scientists recommend a glass of red wine and a piece of chocolate every day to be healthy. According to them, red wine and chocolate are useful for strengthening the immune system. 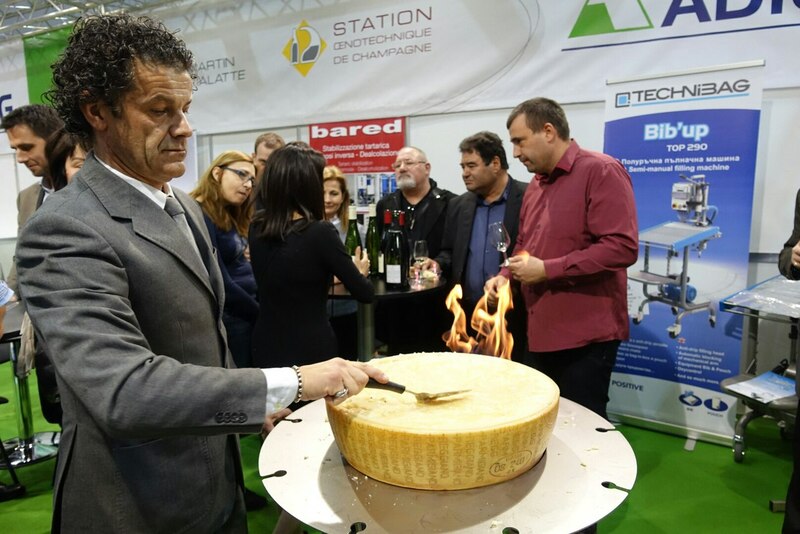 The city of wine along with the exhibition of food "Foodtech" has become a centre of attraction for the guests from Plovdiv, all the regions of Bulgaria as well as from abroad. You could meet the visitors from England, Italy, Germany, France, Serbia, Macedonia, Russia, Moldova, China, Turkey. They tasted the wines offered by wine producers and distributors, some of them also bought a bottle or two at the attractive (discounted) price. Among the main attractions was the wine tasting of various wines from the Biblical Times, held for the first time at Vinaria 2017. The Master of Technology of Wine and Wine Marketing Nicoletta Dicova presented some of the most ancient varieties of wines, aged in amphoras and produced in Italy, Armenia, Georgia and Chile. The real furore among the wine professionals caused the variety "Arena". The experts assumed when Noah planted the first vine and the grapes were used to make that wine. Also, it is considered to be the noblest one of Armenian wines. The stands of "Foodtech" were full of delicatessen, cheese and dairy products, chutneys, pickles, pastries, cakes and a wide range of temptations. The exhibitors introduced a broad range of coffee, drinks for refreshment, and the beauty products from roses, lavender, olives, and other natural products. Check out our official FB page for more details. Sharing is caring! By sharing this article you help raise awareness about Bulgaria as a wine country and Plovdiv as a City of Wine. Thanks for your contribution to the development of the Bulgarian Wine Culture and Industry.